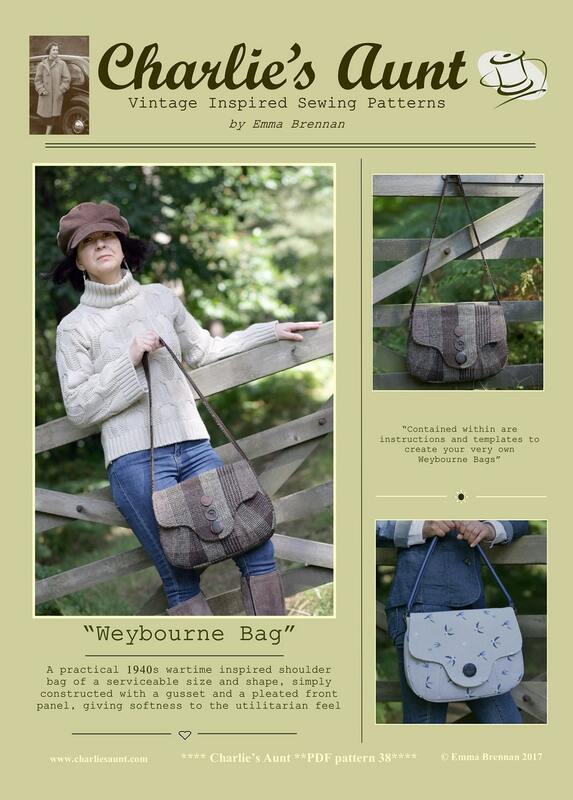 This is a PDF sewing pattern for The Weybourne Bag, a practical 1940s wartime inspired shoulder bag which is of a serviceable size and shape. 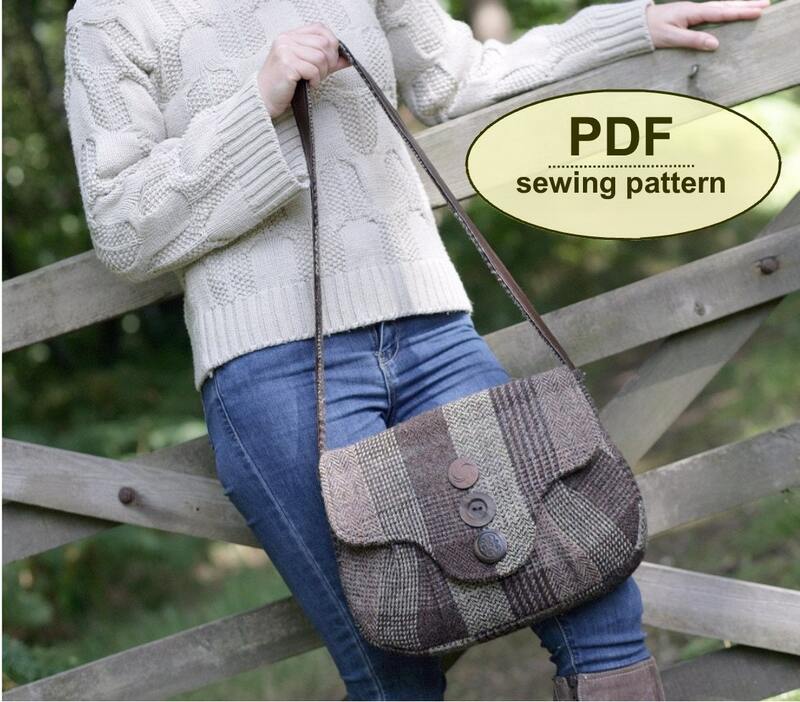 It is simply constructed with a gusset and a pleated front panel giving a little softness to the utilitarian feel. 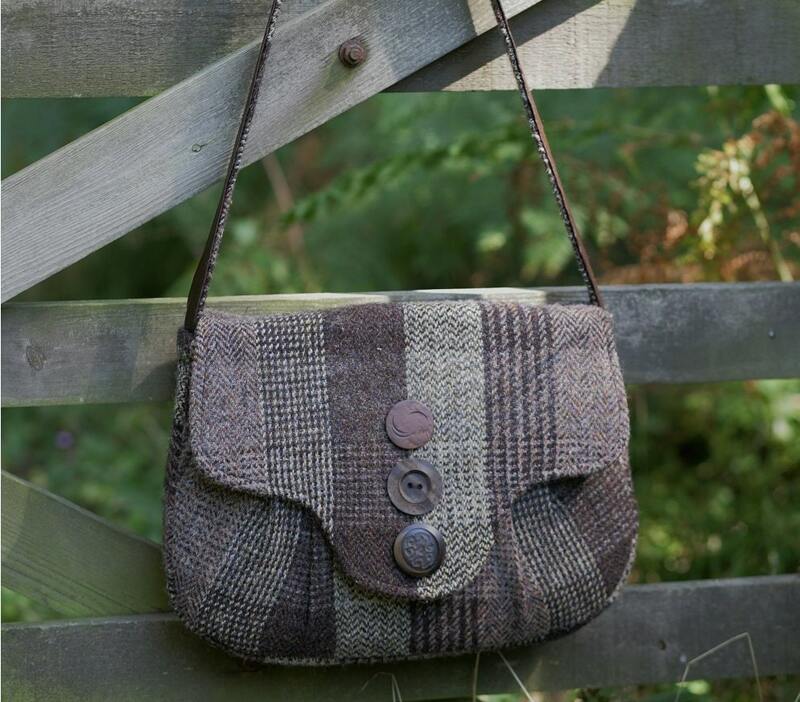 The Weybourne Bag makes up equally well in tweedy woollen fabrics or lighter weight cotton fabrics with a sturdy interfacing. 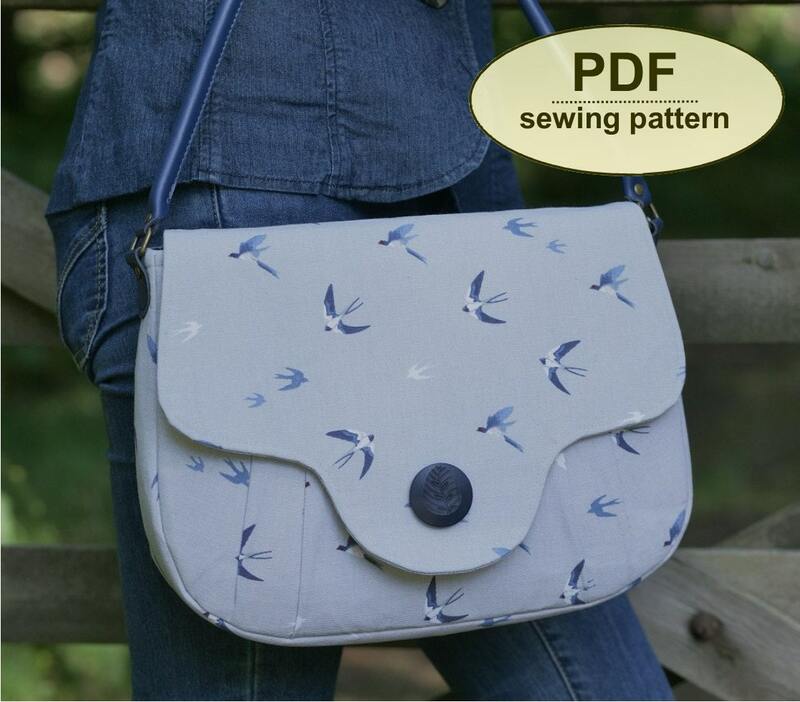 The pattern includes a pocket template for the interior patch pocket, of which you can add one, or two. 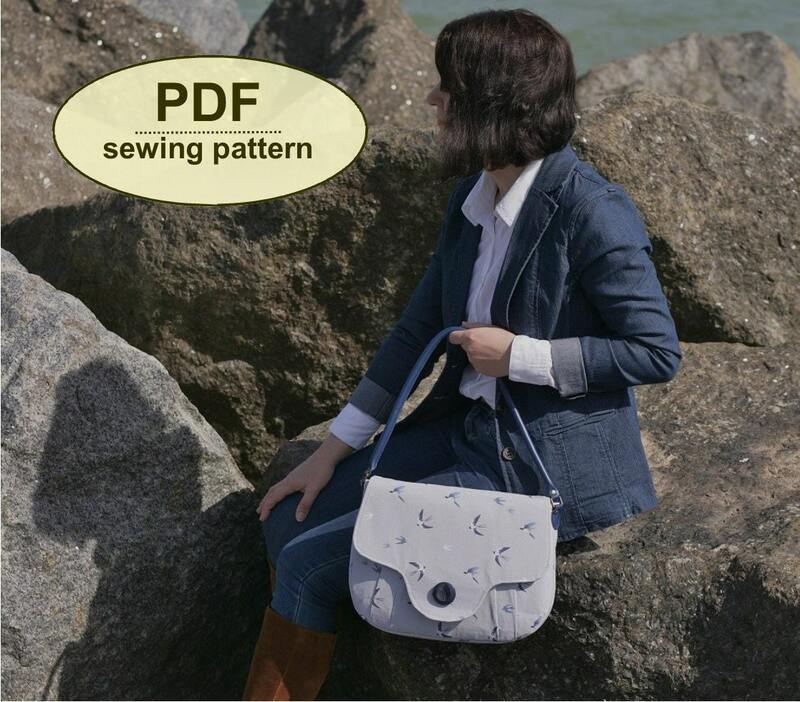 This PDF has 16 pages—9 pages including the cover, general, cutting out and step-by-step instructions, and 7 pattern sheets with the templates, which you must print and cut out. All of the templates are actual size and all seam allowances already added. As three of the templates are too big to fit on one sheet, you must cut out and tape these templates together where shown. Instructions for this are clear.